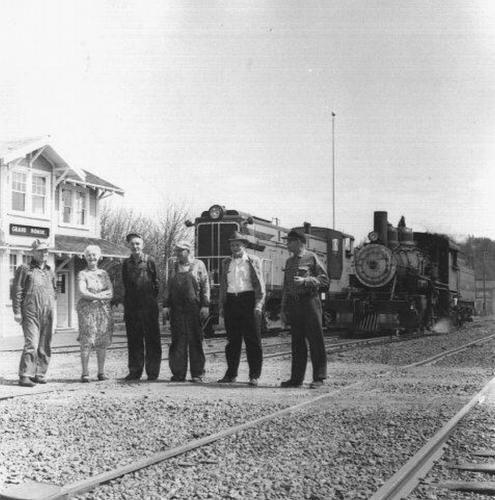 This scene is from Grand Ronde, Oregon, in the yards of the Longview Portland and Northern Railway (formerly Willamina & Grand Ronde Railway). The steam engine seen in the back is engine #680. The locomotive later was bought by Bob Gray and trucked to Virginia City. There is still operates today as Virginia & Truckee #29.